Which LG Refrigerator style do you have? LG 's tagline "Life 's Good " has proven to be true for the worldwide powerhouse corporation. Jumping onto the scene in 1958, within the first 10 years of being in business, LG had produced South Korea 's first radios, televisions, washing machines and air conditioners. LG has always focused on innovative, advanced technologies to design and produce products that make the consumer 's life better. In addition, LG is committed to making energy efficient products that lessen the environmental impact, earning the U.S. Environmental Protection Agency 's 2013 Energy Star Partner of the Year award. LG manufacturers a broad range of products from household appliances such as refrigerators, washing machines and vacuum cleaners, to consumer electronics, such as mobile devices, computers and televisions. Knowing that LG has been an industry leader for the past 5 decades ensures that its ' products are reliable. Knowing that LG is devoted to the environment ensures its ' products are energy efficient. Replace your water filter will ensure that you continue to receive pure, healthy water that is free of unwanted contaminates and unpleasant taste and odor. Most filters need to be replaced every 6 months depending on manufacturer specification and frequency of use. When it is time to replace your filters, rely on a brand that's vision is to "design innovative products and offer superior service. " LG has been focusing on this mission, as well as their initiative to lessen the global environmental impact by producing greener, sustainable products. This is the Tier1 RWF1051 Compatible by PureH2O. The PureH2O PH21420 is the compatible replacement for the HDX FML-1. 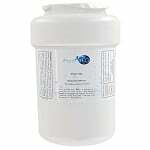 The PureH2O Replacement for ClearChoice CLCH104 is the PureH2O PH21400. 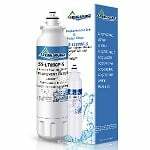 The Spring Source SS-LT800P-S Refrigerator Water Filter is the compatible replacement for the IcePure RFC3500A and for the Tier1 RWF1160 water filter. 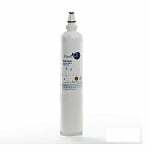 The PureH2O PH21410 is the compatible replacement refrigerator water filter for the HDX FML-3. This is the Tier1 RWF1050 Compatible by PureH2O. 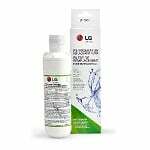 The LG LT1000P Replacement Refrigerator Water Filter is the correct replacement for the Kenmore 46-9980. 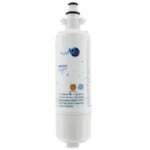 The LG LT1000P Replacement Refrigerator Water Filter is the correct replacement for the Kenmore ADQ74793502. The Spring Source SS-LT800P-S Refrigerator Water Filter is the compatible replacement for the IcePure RFC3500A and for the HDX FML-4 water filter. 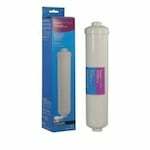 The PureH2O PH21100 Replacement for GE 197D6321P001 fits many GE and Hotpoint Refrigerators with water filters. The PureH2O PH21400 is the correct compatible replacement for the HDX FML-2. 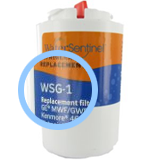 The LG LT1000P Replacement Refrigerator Water Filter is the correct replacement for the Kenmore 9980. The PureH2O PH21420 is the compatible replacement for the OnePurify RFC0100A. The PureH2O PH21410 is the compatible replacement for the OnePurify RFC1200A. 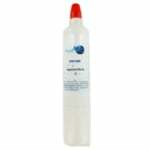 The PureH2O PH21410 is the correct compatible replacement for the Waterfall WFC2401. 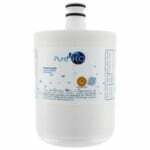 The PureH2O PH21400 is the correct compatible replacement for the Waterfall WFC2001.. The PureH2O PH21400 is the compatible replacement for the OnePurify RFC-P10.